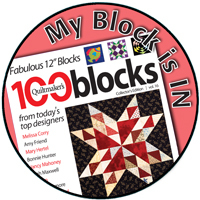 I'm so excited to have a block in the newest edition of Quiltmaker's 100 Blocks Magazine, issue #16. The magazine is hot off the presses so look for it at your local store. 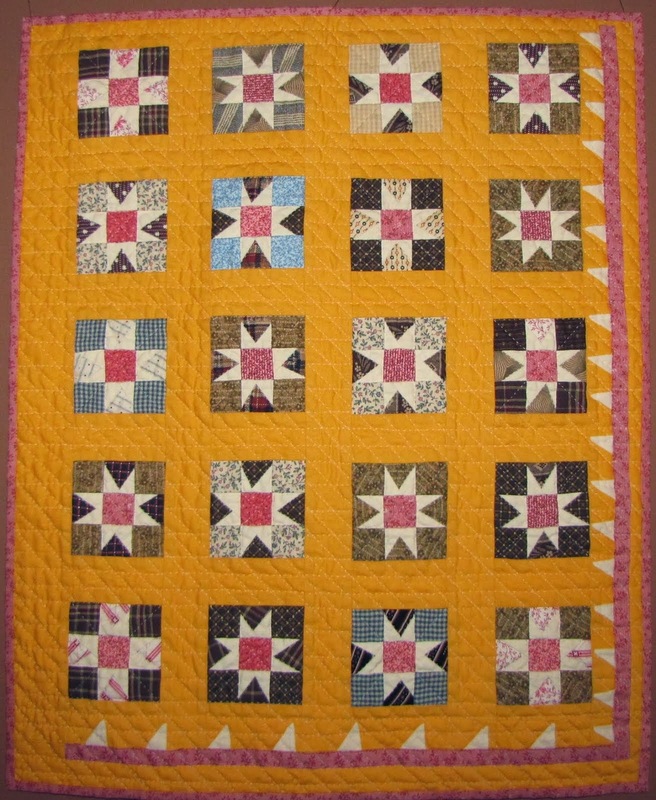 A big welcome to my new visitors who are driving by in Quiltmaker's Road Rally Blog Tour. I hope you'll enjoy seeing my block. Please leave a comment to be part of the GIVE-AWAY to win a your own copy of the magazine with photos and patterns for all 100 blocks (more about that later). . .
A bit about me: I'm Sandra Starley, an AQS Certified Quilt Appraiser, antique quilt collector and lecturer, quilt designer, author. 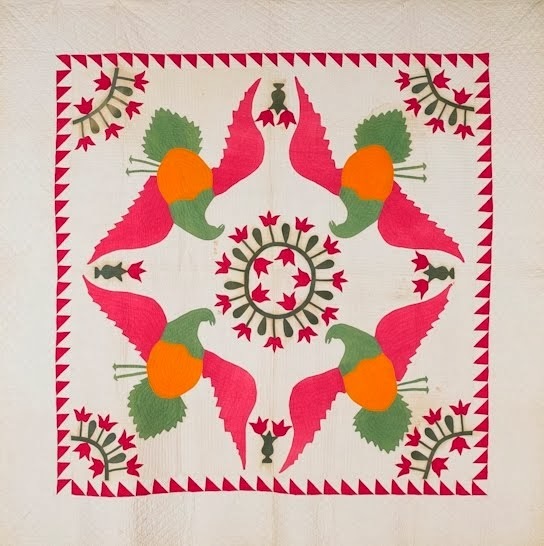 I love sharing my antique quilt collection in trunk shows, quilt study sessions, and through reproducing/patterning my collection in miniature and modern versions. I travel nationally to share my treasures so if you are looking for an entertaining speaker or teacher for your guild, show, or shop, please feel free to contact me. See the page tabs under my banner photo for more information. Fun to see how different the block looks on point. 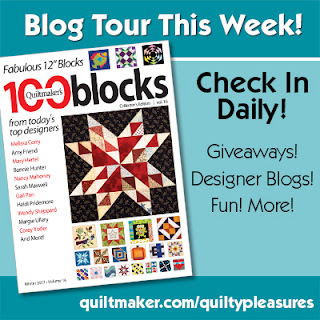 Quiltmaker and I are both giving away a copy of the new magazine, so please leave 1 comment for a chance to win your own copy of Quiltmaker's 100 Blocks Issue #16. Since I love working with antique blocks, share your favorite traditional block in your comment. Be sure you leave your email in your comment, if you are a no reply or anonymous blogger, so you don't miss out. On November 24th at 5 p.m. Eastern, I will pick 2 winners. After commenting, be sure to click on the photo below to visit QM to see more blocks and join in more giveaways. 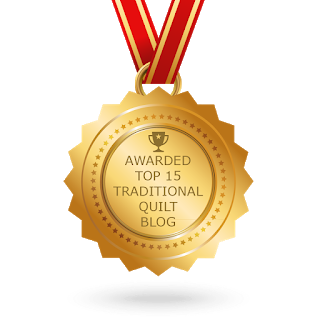 There are 51 blogs where you can enter to win the magazine and other treasures plus give aways on Quiltmaker's page. Hope you enjoy the road rally. Happy Quilting! !